We are greatly indebted to Vicky Airey who has provided most of the information for this page. Vicky hopes to publish a more complete history of the village at some time. Much of the older part of the village is protected from undesirable development because it is designated as a Conservation Area. The map of Bubbenhall before the new housing estates began to be built in the 1970s, shows the medieval pattern of a row of cottages and farmhouses, each with a croft or close, extending from opposite the Spring ("the Spout") down to the bottom of the village. Above the Spring was the Green, which was enclosed and ploughed up during the Second World War. Among the main early village farms were Cross House (now known as the Manor House) in the middle of the village (opposite a small green, taken away about 1930), Yew Tree Farm, the Home Farm (probably previously The Moat), Old House Farm, and Church House Farm (probably the prebendal grange). Parliamentary enclosure of the old open fields - Grove Field and the Harps to the SE, Ludgate Field to the NE, and Cloud Field to the W took place in 1726 (which was the second earliest in Warwickshire). The land was divided among the different manorial tenants and two major new farms were built with surrounding blocks of land belonging to them. These were Wood Farm, built some time before 1809, and Waverley Wood Farm, probably in embryonic form in 1809. Otherwise the old centrally situated farm buildings were still in operation, but had rationally organised blocks of land belonging to them; eg. Yew Tree Farm, belonging to William Paget, had land in Paget's Lane. In the late 19th and early 20th centuries several sales by auction took place, and farms and land changed hands. This was an opportunity for tenant farmers to become owners of land and farmhouses. With the breaking up of the Baginton Estate in 1918 people were able to buy these houses and cottages for the first time. At the same time the stability of leaseholds which often passed from generation to generation in the old village families ended. The Manor House was stripped down to its original timber framework in the autumn of 1966 by its new owner; the previous owner - Mr. Cowley - having died in Feb 1966. The whole framework was then blown down in a severe storm. It was rebuilt in its current form. Bubbelhall Mill during the time of the last miller, George Moore. 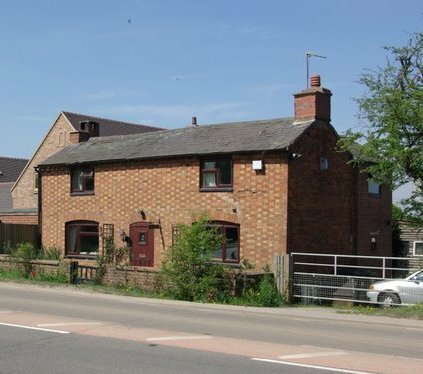 The Three Horseshoes - Among 18th century leases of the Pisford's Charity cottages were a cooper and a "victualler" (i.e. one who supplies food). In 1823 2 cottages were leased to Thomas Walton, yeoman, in 1845 and were described as of "Horseshoes", brewer. This is now the Three Horseshoes. The Malt Shovel - In 1801 the Malt Shovel is described as the "newly erected malthouse", and incorporates an earlier half timbered building. The Shunt - The house that was situated on the Watery Lane side of Weston crossroads (demolished in 2009) was also, long ago, a pub. In the 18th century charity schools were established at Stoneleigh and Cubbington, with some places for Bubbenhall children. In the early 19th century the school which was established at Baginton also took Bubbenhall children. However, less than half of the 70 to 80 school age children of Bubbenhall were able to go to school in the 1860s. In 1864 the Rector managed to establish a village school in Bubbenhall, which continued until it was closed down in 1999. This building was erected c.1876 next to the Parish Pound (which was for impounding stray animals). It started as a private house, but in 1882 was established as the Reading Room with money from a bazaar, public subscription, and a cheque from the former rector, the Rev. Arthur Fanshawe (1863-77). Thereafter it was used for many purposes, including as a library, a meeting place for the Women's Institute, a doctor's surgery, and a place to hold jumble sales.